Chelsea are reportedly set to miss out on Cagliari midfielder Nicolo Barella, as he’s said to be closing in on a move to Inter. As noted by Goal.com, the Blues had been linked with the talented Italian starlet earlier this month, but the initial problem cited was Cagliari’s reluctance to sell their prized asset. The 21-year-old has made 21 appearances so far this season having established himself as a key figure for the Serie A outfit, with his tenacity, energy, work-rate and offensive threat all ensuring that he stands out and has attracted the noted attention above. However, as per Calciomercato, Inter are said to be very close to tying up a deal to sign him this summer, in a deal reportedly worth €40m plus €10m in bonuses. 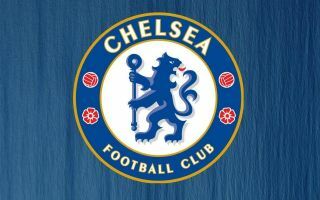 In turn, that is a significant investment from the Nerazzurri, which raises doubts over whether or not Chelsea would have even been willing to match that despite Maurizio Sarri undoubtedly having had a close look at the Italian during his time coaching Napoli. The report adds that Cagliari have already identified a replacement, and so it seems like a mere matter of time before Barella sees a deal struck to ensure he’ll join Inter ahead of next season. Having seen Cesc Fabregas leave Stamford Bridge this month coupled with Mateo Kovacic’s loan move from Real Madrid set to end this summer, Chelsea will have an issue to address in midfield in terms of a lack of quality and depth. With that in mind, while it seems like Barella will be moving elsewhere, the Blues will surely be eager to identify an alternative target in the coming months to ensure that they’re not left short in that department next season.